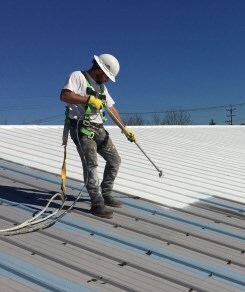 No matter where you’re located in the United States, if you own a commercial building you may eventually need the services of an emergency commercial roofer. Disaster can strike in the blink of an eye. Whether a severe storm, an earthquake or some other incident that causes damage to your roof, choosing the right professional to perform the needed repairs is crucial for a variety of reasons. 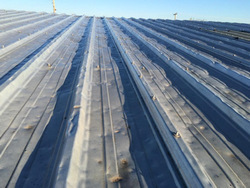 One of the biggest mistakes a building owner can make is hiring the “cheapest” roofing contractor to repair roof damage. As with most things in life, you get what you pay for, and fly-by-night roofers or inexperienced contractors just starting out may quote you a low price and deliver shoddy work. Roofing is not an area where you want to bargain shop. Cheap repairs and shortcut work will only lead to bigger problems and more expensive repairs down the road (and possibly even the need for total roof replacement). Get the work done right the first time by hiring a knowledgeable contractor who has good ratings with local customers in your area, extensive experience and been in business a while. 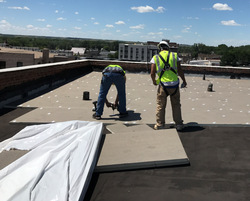 If your commercial roof is covered under a warranty, bear in mind that you need to choose a roofing contractor who meets the standards set forth by the manufacturer of the product on your roof. Failure to do so can lead to the invalidation of your warranty. Also, when roof damage is sustained due to an emergency-type situation, like a severe storm, the repairs will typically become an insurance matter. A good roofing company will often offer insurance-related help and will deal with the insurance company on your behalf. This is a very valuable service, so look for a roofer who has expertise dealing with insurance companies and offers that type of assistance. Choosing a roofer who doesn’t have a solid reputation, who hasn’t worked in your area long or who is just “traveling through” can bring disaster. Opt for a roofing company that has a solid business background and is likely to be around to back up the work they perform if any issues should arise down the road. 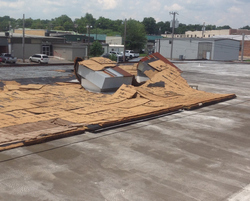 There is a common scam in the roofing industry that involves “storm chasers.” Storm chasers saturate an area where there has been a natural disaster, like a hurricane, and where there is more emergency repair work than local roofers can handle. Most of these storm chasers are in the market with one goal in mind: Making a quick buck at your expense. Do your due diligence when hiring a roofer and make sure you choose a reputable one who will perform the work properly and will be around for the long haul after the work is done. A Good Roofer is Easy to Find! 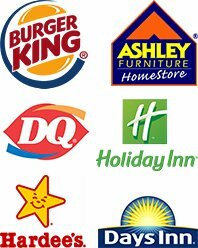 When you work with the Choice Roof Contractor Group, you gain access to a lot more than just a service provider! We’re a reputable, nationwide group of contractors focused on improving service by working together, sharing knowledge and keeping each other accountable. In order to belong to Choice Roof Contractor Group as an endorsed member, contractors must have verifiable good references, be fully insured, and be sponsored by someone affiliated with the group. Our members are among the only roofers in the United States to offer a “Lifetime Service Guarantee” on work performed. Here is what that means: If a member performs work on your roof, our organization guarantees another Choice Roof Contractor Group member meeting the same criteria will always be available to offer their services to you to address the problems. This guarantee of service addresses the common issue of being unable to find a well-matched contractor when future service is needed. 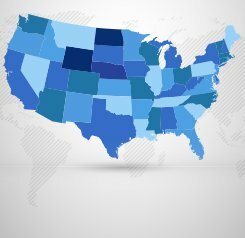 To find a verified Choice Roof Contractor Group member in your area, give us a call today at (800) 670-5583 or visit the contact page of the CRCG website. This entry was posted on Wednesday, August 8th, 2018 at 8:40 am and is filed under Building Owners, Commercial Roofing, Hail Damage, Insurance Claims. You can follow any responses to this entry through the Comments Feed feed. You can skip to the end and leave a response. Pinging is currently not allowed.